Starbucks Doubleshot® espresso drink is made with the rich, full-bodied espresso you love, and it’s always ready to grab and go when you need the inspiration that great coffee provides. Now that’s convenient, isn’t it? 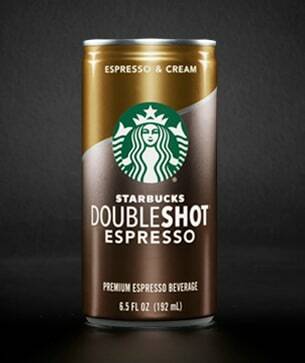 Find it at a Starbucks near you, or at participating grocery and convenience stores. If you ask for a caffè freddo in Italy, you'll receive a chilled cup of black coffee sweetened with sugar.